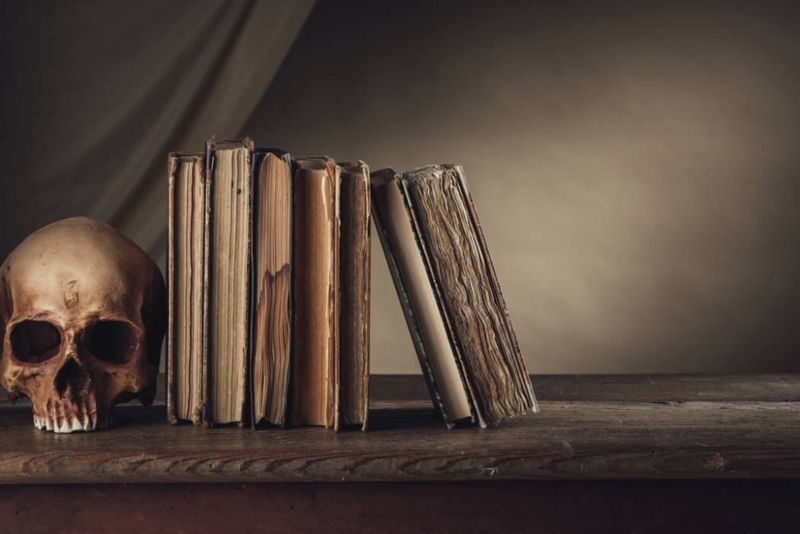 Arguably, when many horror writers want to sit back and relax with a good novel, they are most likely reaching for either the latest spooky tome to hit the bestseller list, a fictional yarn from an as-of-yet undiscovered writer, or a terror classic from yesteryear. But writers can learn a lot from non-fiction, too, including books about the horror genre. 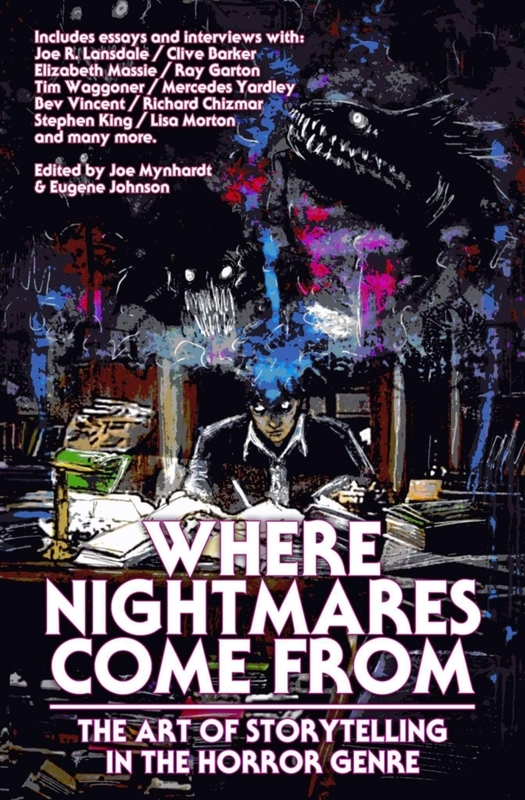 Edited by Joe Mynhardt and Eugene Johnson, Where Nightmares Come From is one such book, an excellent non-fiction anthology about various topics within the horror-writing genre. The collection features a diverse group of authors, from Joe Lansdale to Clive Barker, from Ray Garton to Ramsey Campbell (among many others). In addition, peppered throughout the anthology are interviews with horror artists of all kinds, including authors, screenwriters, and directors. Every entry in Where Nightmares Come From contains something interesting, provocative, humorous, or informative. For example, in “Why Horror,” Mark Alan Miller explains the seductive power that the horror genre wields over its writers; describing horror as “the blackest crude of our subconscious bubbling to the surface,” Miller uses a number of well-known horror titles — including The Texas Chain Saw Massacre and Starry Eyes — to put forth his point, but he also includes non-horror titles (such as Terrence Malick’s Tree of Life) to add more layers to his argument. One of my favorite essays in the anthology is “Pixelated Shadows: Urban Lore and the Rise of the Creepypasta,” written by Michael Paul Gonzalez. As a huge fan of creepy videos, urban legends, and other dark aspects of the Internet, I found this essay a compelling read — and the author provides lots of intriguing examples of the “creepypasta” genre that will have readers heading straight to their computers to find. Occasionally, some of the advice or commentary in Where Nightmares Come From is a bit on the generic side (for example, the idea that inspiration for good writing can come from “everywhere,” or that writers should write “from the heart,” or that first screenplays are virtually impossible to sell), but there is still a trove of fantastic input within the anthology. In “Storytelling Techniques: The Many Faces of Horror,” Richard Thomas examines the juxtaposition between scenes of violence, scenes of quiet, and the space of dread in between. Like many of the authors represented here, Thomas gives examples to support his point, which enable readers to apply his input to actual stories and novels out there in the world. Tim Waggoner, in “Horror is a State of Mind,” encourages horror writers to get to know their characters well, and to connect these characters intimately to the very “dark things” that terrify them in the story. For fans of the Alien franchise, Michael Bailey’s “Great Horror is Something Alien” uses the famous Ridley Scott film as a catalyst for an essay about creativity, inspiration, character, and atmosphere. Where Nightmares Come From also includes interviews with John Connolly (author of the Charlie Parker series, among others), Jonathan Maberry (author of the Joe Ledger Series and the Rot & Ruin series, among others), and a unique simulated round-table discussion with a number of artists within the horror genre (writer/director Kevin Tenney, writer/director Tom Holland, writer/director Fred Dekker, and author/actress Amber Benson). Other topics addressed within the anthology include publishing, marketing, screenwriting, and collaborating, making Where Nightmares Come From a thoroughly enjoyable and well-rounded gathering of valuable material. 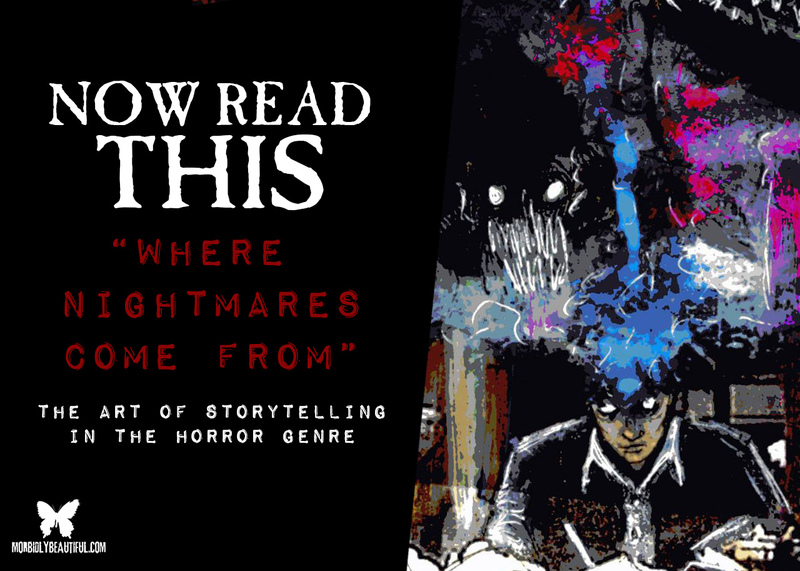 Released by Crystal Lake Publishing, “Where Nightmares Come From” studies the art of storytelling in the horror genre, taking an idea from conception to reality—whether the reader prefers short stories, novels, films, or comics. The anthology is an outstanding reference for creators at all levels and of all abilities.